In this book, authors Chutisa and Steven Bowman provide insights into business and life that have arisen out of their work with thousands of executive boards and teams over several decades. This book is for people who are dedicated to creating a life greater than what they now have and to making a difference in the world. 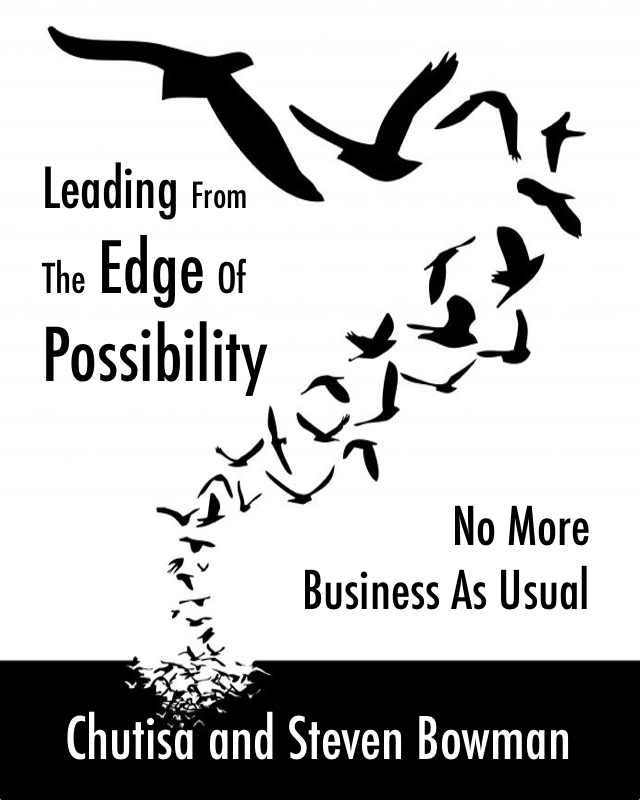 In this book, Leading From the Edge of Possibility, authors Chutisa and Steven Bowman provide insights into business and life that have arisen out of their work with thousands of executive boards and teams over several decades. The subject of this book is no more business as usual. But perhaps more precisely it is a book about possibility, choice, question, contribution and what it would take to lead your business and your life from the edge of infinite possibility. Just imagine what your business and your life would be like if you stopped functioning on autopilot and began to generate your business with strategic awareness and prosperity consciousness. This is truly possible - except you have to be willing to change. Recognizing a different possibility requires a different mindset and almost always demands a kind of awareness that is not part of prior experience. With this book youll get the awareness you need to lead your business in any environment!